Christmas is a time when spending can easily get out of control. Even if you haven’t been extravagant, it takes a lot of planning and budgeting to avoid the January Christmas debt hangover. In January 2018, around 7.9 million people said they were likely to fall behind with their finances that month due to spending too much at Christmas. 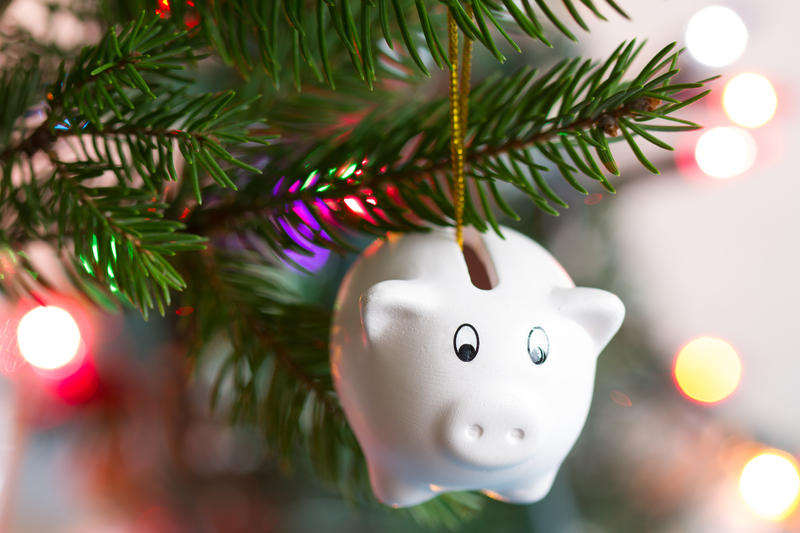 So we’ve put together 6 top tips to help you save money this Christmas while still having a cheerful celebration. What money you have available for Christmas (this is excluding all bills and priority payments). What you need to spend money on over the Christmas period. What you want to spend your money on over the Christmas period. It may seem simple but something as easy to manage as this could really help you keep an eye on your expenditure over the festive season. Top tip: Look back at your finances last year, because it’s easy to say you want to spend £50 on Christmas food shopping, but if you’re likely to spend £100, this can seem impossible, it is better to plan for realistic outgoings so they are achievable. There are lots of online budget planners you can use if you don’t know where to start, such as this budget planner from the Money Advice Service. Or, download your own template to create in Excel which you can update and review regularly. This is a good place to start sorting out your finances for Christmas or as a focus towards a New Year resolution. It can be so difficult to find the right gift to give your family members without being generic especially when you are trying to stick to a budget too. Secret Santa is a great solution to this predicament and will not only save you money but your family will save money too. Everyone wants to give a nice gift at Christmas! You might even be able to spend that little bit extra on one person so that they can receive something extra special. By making a list for Santa you can let the whole family know exactly what to get you and if they do the same then you know what to get them too! This avoids any unwanted presents and you won’t be wasting their money either. A Christmas list is also a great cheat for those family members who are really difficult to buy for. Top Tip: Post your lists for Santa on a family group chat so that you don’t miss anyone, they can’t lose it and you can encourage others to do the same. #4 Make room for all your new stuff! Facebook selling groups/market place, ebay, car boot sales and gumtree are just a few places you could sell some of your old things to make way for the new. Now is a good time to be ruthless with anything you haven’t used in a while. If you’re having trouble finding what you should let go of, ask yourself, your children or housemates: “Have you used this since last Christmas?” If the answer is no, sell it, throw it, or give it away. You’ll have some extra cash to help with the Christmas expenses if you do get a sale. On the other hand, if you haven’t managed to sell everything, don’t automatically throw it all away; there are so many charitable causes to support, especially around Christmas time. Why not give away your old things for a good cause? You could really help someone out and at the same time, make room for your Christmas presents – it’s a win-win. Already, this year, there are lots of videos popping up on social media about DIY ideas to save money this Christmas such as magical DIY Christmas decorations. By applying a bit of elbow grease and imagination to a few simple household items you could make some great presents and decorations to really get into the festive spirit. DIY is great to get the kids involved with and can be a great way of making seasonal memories and traditions. If you have to get presents for the teachers, colleagues and distant relatives this Christmas, it may be difficult to get something nice and not spend a fortune. It can be tricky to deal with this situation as these people may not be close to you and yet you either wind up exchanging gifts every year or you’re pressured into it one way or another. To get around these extra costs why not try some homemade food gifts presented in a nice box. Your gift will be personal non-generic but they’re also cheap and fun to make! Can you think of any unwanted Christmas presents you’ve received in the past? A recent survey has discovered that every year 57% of Britons are given Christmas presents that will never even be taken out of the box. In fact, each of us could receive around 3 unwanted gifts worth £26 this Christmas, totalling a £1.4 billion UK wide. Apparently, one of the best alternatives to gift-giving is to help prepare festive food for someone! 34% of survey participants say the very best present they could have is someone cooking Christmas lunch. Cooking Christmas dinner for all your friends and family isn’t always feasible so try just asking them what their Christmas list is and choose something that you can make or buy. Buying less but more meaningful presents this Christmas could help reduce debt and overspending during the festive season. Top Tip: If you are on a really tight budget, you can always turn to good old printable Christmas vouchers. You can offer your help to close friends and family members throughout the year and best of all – you only have to spend money on printing out the vouchers. We hope you and your family have a wonderful Christmas and a happy new year! We hope these top tips are helpful for you over this festive season, please comment below tell us your own ideas for saving money over the festive season. And if you’re having trouble with your finances during the run up to Christmas, we can help you become debt-free. Why not get online help now or give us a call today to see how we can help with your finances? We offer a free, non-judgmental advice service and will be happy to talk to you. There are some fab tips in here – the idea of an adult Secret Santa is great. It can also be worthwhile seeing if your family is up for a “kids only gifts” pact – saves wasting loads of money on presents the adults won’t want or appreciate while still letting the little people get the most excitement from a crowded pile under the tree! Thank you for your comment Rift Refunds, we are so glad you like our blog. We lovely this “kids only gift pact” – it’s a great idea, especially for young families on a low income.